The other day I was cruising through Amazon television and I spot this movie American Gigolo with Richard Gere that came out back in 1980. I remember this film because I was about 13 years old when it came out and living in Florida at the time. Everyone was talking about this movie and what a big deal it was at the time, but I was just a kid, so what did I know. I remembered though that the song Call Me, by the singer Blondie, came out and it was featured in the film. I decided to watch the movie for free on Amazon and I didn’t make it very far into the film because it was really boring, but the opening scene featuring a 1980 Mercedes Benz 450 SL being driven by Richard Gere was really cool. I’m including it in a Youtube video that I found in the post below and you can check it out for yourself and see what I mean. You can even rent the movie on Youtube now, which you certainly couldn’t do in 1980. If an ad pops up in the video be sure and close the ad. This cool car back in 1980 was the bomb. Today a new 2018 Mercedes Benz 450SL nicely equipped sells for over $100,000. They start at an MSRP of around $88,200. 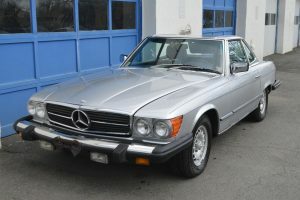 The 350SL and 450SL though from 1972 to 1980 had a unique look and body style with a 4.5l V8 engine under that hood that by 1980 with all the emissions regulations produced 160hp. It was under powered for such a big motor and heavy car compared to one today. It had such a cool iconic look that it was featured in this 1980 movie with Richard Gere being the American Gigolo. I wonder if he owns one of these vehicles today? What’s pretty amazing though is the NADA retail value on these 1980 vehicles today. Mercedes Benz only produced about 6,000 of them a year, so it’s not like there are hundreds of thousands of these vehicles still around today. The original MSRP was $35,839, which back in 1980 was a lot of money for a car. 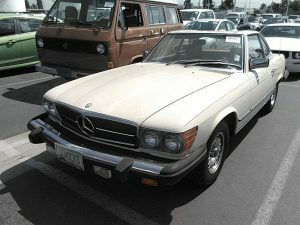 Today, the retail on a 1980 Mercedes Benz 450SL ranges from $14,200 low retail to $42,200 high retail according to NADA.com. Haggerty is not quite as aggressive and definitely more conservative, going as high as $32,100 and as low as $5,700 (good luck finding one that cheap that still runs or doesn’t need $10,000 in work). As The Cool Car Guy, I find cars like this for people who are into cars all the time. 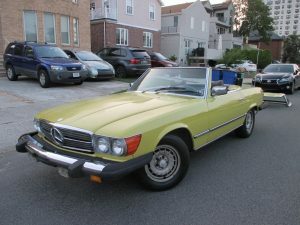 What’s really cool about this vehicle is that you can have me find you a 1980 Mercedes-Benz 450SL, depending on your budget, in a variety of conditions. If you only have $10,000 to $20,000 to invest in a cool classic car consider having me track down one of these for you. It might take some time to find the right car, but it’s worth it when you can get a vehicle that you know isn’t going to be losing money the minute you drive it off the lot. I have written other articles talking about the benefits of going after vehicles that everyone else isn’t trying to buy. They are harder to find sometimes. 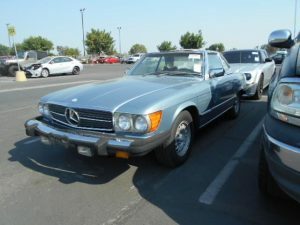 How cool is it that a 1980 Mercedes Benz 450SL that sold new for around $35,000 is still worth more than a 2011 Toyota RAV4 that millions of people are trying to buy? Which is one of the many reasons why I like really cool cars! “The investment will go both to an expansion of the German luxury brand’s existing plant near Tuscaloosa and to build a new 1 million-square-foot battery factory. While electric vehicle sales have been tepid overall, Mercedes has watched as Tesla jumped out has become a formidable player in the super-premium segment with its electric Model S sedan and Model X crossover. Now Tesla is threatening the lower, entry-level part of the luxury market with its lower-priced Model 3 sedan. The company is pursuing an “anything Tesla can do, we can do better” strategy,” – USAToday reported. This is for the production of its all-electric EQ SUV. Which is going to be the first all-electric SUV from Mercedes Benz and it’s going to be a big deal as more car companies are getting into the electric automobile market. The consumer is driving the move toward electric vehicles with the success of Tesla in the marketplace and as people want a choice beyond the combustible engine. What most people fail to realize is that the electric vehicle is the ultimate in planned obsolescence. Car companies were accused of this tactic for years back in the 1970’s and 1980’s when vehicles would have parts that would break or wear out and have to be replaced. A petroleum based engine is designed to run on gasoline or diesel fuel and it can be rebuilt. When batteries wear out they are finished and have to be replaced and it can be extremely expensive. Some people argue that this is no different than rebuilding an engine that can also be expensive. The problem is that the batteries that work today probably won’t drive the vehicles of tomorrow. Car manufacturers are in the business of selling new vehicles and not updating used vehicles to the newest technology. Nowhere is this more true than in the cell phone and computer market. Is Apple offering an “upgrade” path for your original iPhone? What about your 386SX computer from the 1980’s? They are dead. If you want to upgrade an old cell phone with the latest technology you have to buy a new cell phone. It’s not any different with the future of the electric vehicle. The cost to replace batteries are not going to be less, but they are going to be more. You can see this with the Toyota Prius, but the difference is that your Prius can also run on gasoline, so it just becomes a heavy Corolla if you don’t replace the batteries. This is a photo of a 2001 Toyota Prius with about 266,000 miles on it. The cost for a replacement battery after 16 years is more than you would pay for the entire vehicle. If you do some research you can pick up a used battery pack for about $1,600. Proving the reality that EV batteries are not a sustainable long term technology nor will they be supported at a reasonable price. The challenge for electric vehicles is not the new car market for consumers, but it’s actually the used car market. Most people are afraid of buying electric vehicles that are five years old and having to replace the batteries in the future. The lifespan of batteries in electric vehicles today is about ten years, like in a Toyota Prius. It’s pretty difficult to convince someone to pay top dollar for a used electric vehicle when they are concerned about the battery life and the cost to replace the batteries. 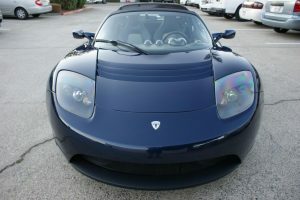 In 2015, Autoblog.com had an article titled “Tesla Roadster battery pack replacement will cost $29,000”. That’s crazy expensive for another 10 years of battery life in an older vehicle. You don’t hear too much talk about this though from the media and Wall Street darling do you? Which brings me back to the fact that Mercedes Benz is making a billion dollar investment into electric vehicles. Why wouldn’t they? The consumer is failing to realize that they are helping to sell the car manufacturers on turning their vehicles into a very expensive appliance, like their cell phones and computers. 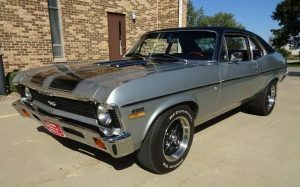 In the meantime, for all of those petroleum haters out there, this is a 1970 Nova SS Tribute that I spotted on the Manheim Dealer Auction for around $25,000 plus shipping and dealer profit. You could get this super cool vehicle that is still worth almost as much as those expensive Tesla batteries after 47 years of driving. And for only about $10.00 in gasoline drive it down the road without having to update anything. Best of all, this vehicle should be worth about the same or more in another 47 years where that electric vehicle is destined for the crusher. Which is why classic petroleum based vehicles are the ultimate in recycling! As The Cool Car Guy, I assist people in buying, selling, trading and leasing vehicles on a regular basis. I work with people from all walks of life, but as you might expect a good portion of my clients drive luxury and high-end vehicles. I also have clients who drive the no frills “bean can” as well or people who are on a limited budget. I often am asked by people why they should spend the additional money for an Audi, BMW, Mercedes Benz, etc. than on some of the less expensive vehicles on the market. Many people think that these vehicles are all created equal, but nothing could be further from the truth. I decided I should take the time to write an article on why luxury vehicles are more expensive than other brands on the market. Many people assume that it’s all about just selling a vehicle for what the market will bear. Which is a nice way of saying that they think that all vehicles are the same and therefore they are ripping people off with a brand name. It’s true that the manufacturer needs to turn a profit, but when you buy a more expensive vehicle you are also getting a product that costs much more to produce. The components are more expensive to build the vehicle. I actually run into this even with other people in the car business who don’t like Porsche, Audi or BMW or Mercedes Benz because they are expensive to repair. It cracks me up because some of these people are Used Car Managers and people who actually sell cars for a living. It’s as if they have no clue about what it under the hood and like a typical teenager think that just because both cars have a USB port they are the same technology. They don’t seem to understand that there is a difference in the quality of components being used in the vehicles. Let me illustrate this fact with just a few components to show the difference in pricing. 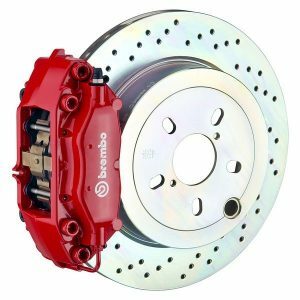 Brembo brakes are usually found on a vehicle like a Porsche 911 Turbo or a high-end Audi. You can grab a set of these over at Tire Rack at a discounted price of $1,916 for a kit at the time that I posted this and this particular one fits on a1983 Porsche 911SC Targa. 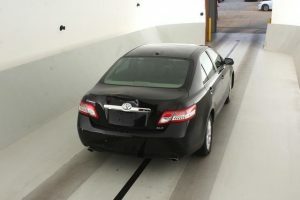 Those do not include installation time at $150 to $200 an hour at a dealership or even at some of the specialty shops. 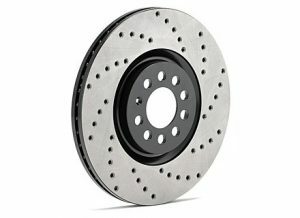 Contrast that with a set of rotors for a 2015 Hyundai Elantra GT that you can grab for $122.83 and these are much better than what the manufacturer would put on. These brakes are not even close to the same in performance or quality which is why they are more 15 to 16 times less money! 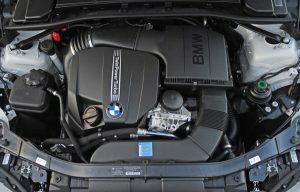 Here’s the engine for a 2011 BMW 335xi, which I happen to own and drive as my daily driver here in Colorado. It’s a 6 cylinder twin turbo engine that produces 300hp. 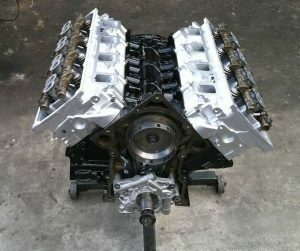 If you needed to replace this engine it would cost over at CarMonkeys.com close to $11,000 for a used one and that’s a deal. Contrast that with a 2011 Toyota Camry 3.5l V6 that was their top of the line motor for that year that produced 268hp and it would be about $4,500 for that used engine at CarMonkeys.com. That’s less than half the price even though they both have six cylinder engines. Why? They’re not even close when it comes to performance, components and technology that has gone into the two engines. It’s not as drastic in price difference compared to the brakes, but it’s 2.5 times the price on the used market for the same six cylinder engine. Obviously, they are not the same. 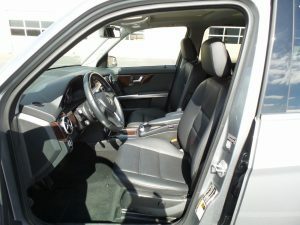 As you start to go throughout the vehicles and add up the cost of components like brakes, tires (run flats on the BMW or Mercedes Benz for example), the transmissions, shocks, struts, all-wheel drive systems, sound dampening, the quality of interior, you discover that everything costs more on the luxury vehicle. You can keep going with this sort of exercise in other aspects of the cars. If it were truly a case of the manufacturers gaining huge profit off these cars and they were not that expensive to produce than companies like Hyundai would be much more competitive with their new Genesis vehicle. Instead they have only been able to beat the price of a Lexus by a very small margin in their pricing. They are focusing on offering a longer warranty as a key buying point. After all, the cost to surround a person with airbags and have the same quality components to compete with their target market of a Lexus and Acura isn’t any less. The bottom line is that you get what you pay for when it comes to buying a vehicle. If you’ve ever watched F1 racing you know how cool these cars are and recently a Colorado billionaire, John Malone of Liberty Media purchased the rights to Formula One racing. If you’ve never seen Formula One racing let me share with you from a cool website called Zeroto60times.com how fast these race cars are and you’ll see why I am excited about the future of this sport. Especially, if we can get some more Formula One racing here in the United States. These cars are super cool, but the race series is not winning over new fans and that’s a problem for the future of the Formula One racing. John Malone’s Liberty Media has agreed to buy the racing series in a deal that values it at $4.4 billion, plus debt that will take it up to $8 billion. That’s big bucks for a racing venue, but this is Formula One racing, which is the Super Bowl of race car driving and a global audience. Since the announcement was made back in September other news reports have said that they intend to put spending caps on race teams. This is a great idea because Formula One has been dominated by Red Bull and Mercedes Benz. This is because they can spend $400 million or more on putting together a racing team and other teams have been spent into ruin trying to compete, which has created an unfair advantage for smaller teams. It’s not a big win for the fans when two teams can dominate the racing circuit with better technology and loads of cash, so it will be interesting to see how it all shakes out with the new owner. I don’t expect that Formula One will be huge here in the United States, but we might get some Grand Prix races in some larger cities like New York and Los Angeles out of it. I’m hopeful that in the coming year we’ll see some changes with the new ownership and that more of the races will be available to watch and follow because it’s a really cool sport. I’m including a cool video that is under ten minutes that I found on Youtube to check out below. I want to thank all of my clients for a great 2016 and I am looking forward to 2017 and what it has to bring. Recently, I had a former client contact me about getting out of her 2013 Nissan Rogue lease and into a “luxury” vehicle this time around, but she wanted a low lease payment without having to put a great deal of money down. I know that many people see the low lease payment offers on television and they believe the dealerships that they can lease an $35,000 to $50,000 vehicle for under $400 a month with nothing down. However, what most people discover is that in the fine print of the advertisement the manufacturer wants more money down or have an annual mileage restriction of 10,000 miles or even 8,000 miles. If you drive 15,000 miles a year for three years and you purchased an 8,000 mile lease than your vehicle will have a vehicle that is three years old with 45,000 miles and you told the leasing company that you were only going to drive 24,000 miles a year. This happens all the time! The salesperson tells the person not to worry about the miles because at the end of the lease they can buy it out, but what if the leasing company bet wrong on the residual and the residual is $26,500 and the vehicle is selling at auction for $24,000? You get to buy it for $26,500 or $2,500 more than what the vehicle would actually trade for. This is still better than being over your miles by 21,000 miles at $.25 a mile, if you give it back to the leasing company where they will cream you for $5,250 in additional depreciation, plus any additional damage the vehicle might have as well. Which is why it’s important to purchase the right miles to begin with or get as close to where you think you’re going to drive as possible. 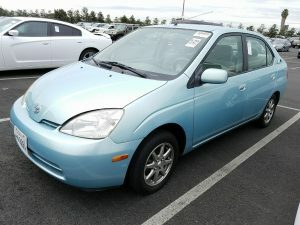 Why do people buy used vehicles? Because they want someone else to take all the initial depreciation on the vehicle when it drives off the showroom floor. When you lease vehicle you are paying for the depreciation and the leasing company is setting a number on what they believe the vehicle is going to be worth, two, three, four or five years from now. They are taking an educated guess and rolling the dice that the vehicle is going to be worth X if you put on X number of miles during the term of your lease. As I just mentioned, many times the leasing company will be wrong and that’s a benefit for you! A used vehicle lease transfers some of the risk of ownership of a used vehicle back onto the leasing company again and this is an awesome concept that you are probably not going to hear about from a franchise car dealership. They are in business to do new vehicle leases because the manufacturer wants them leasing new cars and not leasing used cars. You can now see the benefit of how a used vehicle lease is similar to purchasing a used vehicle. Much of the depreciation has already taken place, so you are able to transfer some of the risk of driving that used vehicle onto a leasing company. If the vehicle gets hit with hail or in an accident, while you are driving it and you own it than you get stuck with the bad CARFAX report and I get those calls all the time from people trying to figure out what to do with their vehicle with the bad CARFAX. 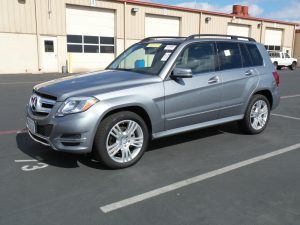 When you lease a used vehicle, like the pictures of this 2015 Mercedes Benz GLK350 AWD, that I ran lease numbers on for my client, a great amount of depreciation has already taken place. For example, I ran a scenario with 12,000 miles a year instead of the 8,000 or 10,000 on a similar manufacturer’s lease with only $1,000 down, plus the first payment and 12,000 miles a year. The numbers below are based on approved credit and you need a minimum of a 680 FICO to qualify for a used vehicle lease with most leasing companies. 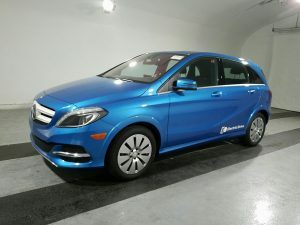 This is a vehicle that I could purchase at the Dealer Auction for her with about 30,000 miles on a 2015, so it still has the remainder of the four year factory warranty from Mercedes Benz. 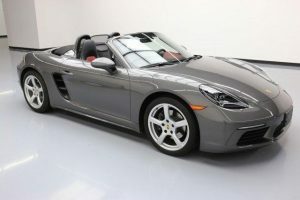 If she was to lease this vehicle using the estimate that I ran, which could be less depending on what I can purchase this vehicle for or one like it for through the auction it would be a very affordable lease. It could be slightly more, but I’ve been doing this for 12 years and I’m pretty good at estimating, but I will drill down a specific vehicle for her if she decides to go in this direction. I’m not sure why someone wouldn’t want to do this? There is very little downside and it can be great for people in business. Not everyone knows how to structure these leases properly though, so if someone tells you they know how to do used vehicle leases it doesn’t mean they will have the same results. You can see the Base Payment, which is what dealers normally quote before sales tax is added to the lease payment. Also be sure and look at the residual. So if she were to decide to lease this really cool vehicle for 48 months she can buy it out at the end of the lease for $15,400, which is below wholesale based on sales at the Dealer Auction of 2011’s with about 78,000 miles like this should have at 12K a year. Which is a case where if she were to put more miles on the vehicle than what she purchased she could find herself in a safe position based on the depreciation that already took place. This is also a simple interest lease, which is another discussion all together. This is a payment that many people can afford and put more money into their savings or an investment vehicle, a business venture, use for their household expenses, while still driving a late model Mercedes Benz. How cool is that! A person could be driving a 2015 Mercedes Benz AWD SUV for less than what they would pay to drive an American or Japanese Import. Which is why I’m The Cool Car Guy. If you want to have me run some scenarios for your situation and have me assist you in finding a different vehicle just send me an email at the address below. I was watching the PGA Championship today with Tiger Woods and Y.E. Yang battle it out when a commercial for the new Mercedes Benz E-Class Coupe came on. It’s so cool that I had to track it down and post it here at CoolCarGuy.com. The car is awesome and the commercial pretty much says it all. The new E-class is fantastic, especially as a coupe with a really neat look to it and I’m sure it will be a huge seller for Mercedes Benz as a competitor for BMW’s coupe. Mercedes put a pretty wild website together showcasing the car with some super models as well that you can checkout by clicking here. It’s kind of strange, but something different you haven’t seen before. Earlier today, I was over at Murray Motors in Denver checking out a 2007 BMW X3 for a client when I spotted this sweet 2007 Mercedes-Benz SL55 AMG Roadster. The AMG series started 40 years ago, back in 1967, where two German’s set out to build the best race cars on the road. Since then Mercedes-Benz has been creating some of the finest performance vehicles in the world. The SL55 being one of them. What’s the big deal about this vehicle? For starters, the AMG means that each engine is assembled by hand, by a single master technician. Engine tolerance can have no variation greater than 1/10th of a millimeter. And for 2006 Mercedes-Benz AMG introduced a 6.3 liter engine that is the most powerful V8 production engine that they have ever made, which is the power plant for this high performance roadster. The SL55 is the real deal with its V8 engine delivering up to 510hp and 531 lb-ft torque. 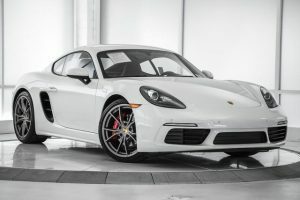 This baby will go from 0 to 60 in 4.4 seconds and the way it’s equipped it came in with a final price tag of $149,855 for this spectacular piece of machinery. 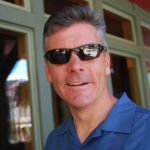 John is an automotive consultant with JFR & Associates in Denver, Colorado. 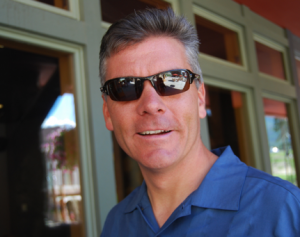 He can help you save time and money on any make or model, new or used, lease or purchase – nationwide! Call or email John about your next vehicle! These photos of a hard loaded 2004 E500 4MATIC that is currently owned by a former professional hockey player for the Colorado Avalanche came into my email box earlier today from the legendary Jim Reitz of JFR and Associates. I’m told that this vehicle has been garage kept with only 15,750 miles on it and that it has many of the cool options that were available for the E500 in the 2004 model. The E500 was built in Germany and not only looks cool, but is pretty darn fast for a full size luxury sports sedan. It has a 5.0 liter V8 engine that delivers 302hp to get this baby moving from 0 – 60 in just 5.92 seconds. It’s not the most fuel efficient vehicle, but you don’t really buy luxury sports vehicles for fuel economy do you? Still the E500 gets 16 – 24 mpg from it’s 24 valve v8 engine, which means that it should average around 20. In addition, the E500 was designed with safety in mind since it came equipped with ABS brakes, front, passenger and side impact airbags, plus stability and traction control. This particular E500 has the optional premium and entertainment packages along with the wonderful 4MATIC permanent all-wheel drive system, which is great for these crazy Colorado Winters. You can tell by the photos that these shots were taken before we were buried with four feet of snow. 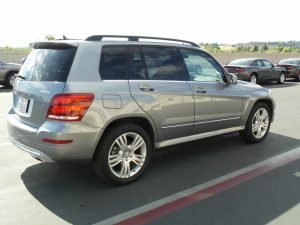 As an added bonus, the manufacturer’s 4 year / 50,000 warranty is still in effect until January of 2008, which is four years from its in service date, giving whoever gets this unique vehicle a remaining one year original factory warranty from Mercedes Benz. To see all the options that were available for the E500 in 2004 there is a great web page that lists them all at Consumer Auto Guide. The original MSRP for the E500 4MATIC sedan, it also came in a wagon and an AMG model, was $58,825 in 2004, plus a slew of options, such as a command navigation feature bumped the price even further. The elegant lines of the Mercedes-Benz E500 make it look sharp ,and although I haven’t had the opportunity to take this sweet ride out for a test drive, I hope to get a chance to see it up close and personal very soon. If you’re a fan of German made Mercedes-Benz vehicles the E500 is a definite winner and extremely cool. in Denver, Colorado. He can help you save time and money on any make or model, new or used, lease or purchase – nationwide! Call or email John about your next vehicle!